The alternating heights of the towers at Reflections at Keppel Bay creates an arresting interplay of changing light planes and reflecting angles, presenting spectacular views at every turn. Sky bridges will link the towers, and provide 360-degree views of tranquil Keppel Bay and the lush surroundings. Every detail of Reflections at Keppel Bay is designed to invigorate the mind, body and soul. A reflecting pool spread over 100,000sq ft will bring calming waters to the six towers and 11 low-rise villas. Lifestyle amenities such as an exclusive clubhouse, an Olympic-length swimming pool and a state-of-the-art gymnasium will rival those of prestigious private establishments. Reflections at Keppel Bay’s location is priceless. Stone's throw from the Harbourfront MRT Station and shopping malls and minutes from the city and business district, yet it lies within one of Singapore’s best loved nature and recreation enclaves. What’s more, its exceptional offering of a premier live-work-play waterfront environment meets a worldwide trend towards this new lifestyle. Singapore’s southern waterfront hub is undergoing fast and dramatic transformation which includes Keppel Bay, the multi-billion dollar Sentosa Integrated Resort and the development of Sentosa into a premium resort. This trend, along with the romance and rare opportunity of living by the sea, have created exceptional demand for luxury waterfront homes like Reflections at Keppel Bay in this area. Reflections at Keppel Bay sets a new benchmark in real estate investment. Every aspect, from its developer and architect, its quality of finishing and luxurious style, its priceless location and surrounding world-class attractions, as well as the prestige of ownership, will make Reflections at Keppel Bay the luxury residential waterfront development of choice in Asia. Award winning architecturally desing masterpiece. Fantastic location that offers the best of both worlds by being close to the CBD but also along the water's edge, allowing for a relaxing lifestyle with all the amenities you will ever want as well as being walking distance to local as well as major shopping and food areas. Spectacular view of the water and Sentosa. Generous space in common compound. Amazing place to call home! Beautiful Place to Live overlooking the sea, prestigious and luxury are the words to describe. great designer condo development. lots of facilities. 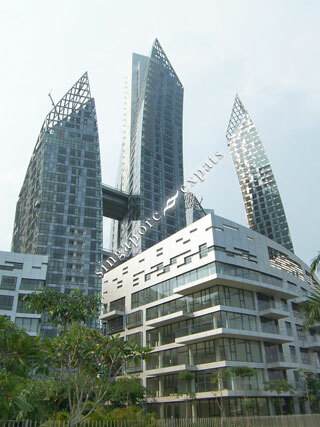 Reflections at Keppel Bay is an icon of modern architecture and is beautiful to behold. With its 100,000 square-feet reflecting pool and a host of lifestyle amenities, such as an Olympic-length swimming pool and a state-of-the-art gymnasium, it provides stylish settings for leisure and social gatherings. Its waterfront location means that the ocean is your playground and you can indulge in a myriad of waterfront activities. All this is but a 5-minute drive away from the Central Business District (CBD), yet comfortably nestled in one of Singapore's best-loved nature and recreation enclaves. Fringing its vicinity are some of the nation’s most notable attractions, including Mount Faber Scenic Park, Resorts World Sentosa, Singapore’s largest entertainment and recreation hub. Vivo City is a short distance away and provides a wide variety of shopping and dining choices. Harboutfront and Telok Blangah MRT stations are within walking distance. Lifestyle living surrounded by the coastline and golf. always peaceful, spacious and a minute to marina. Serene with lush foliage.